This masterwork by Krzysztof Kie lowski (Three Colors) is one of the twentieth century s greatest achievements in visual storytelling. 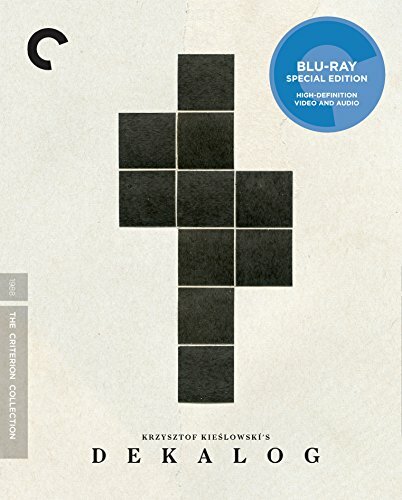 Originally made for Polish television, Dekalog focuses on the residents of a housing complex in post-Communist Poland, whose lives become subtly intertwined as they face emotional dilemmas that are at once deeply personal and universally human. Using the Ten Commandments for thematic inspiration and an overarching structure, Dekalog s ten hour-long films deftly grapple with complex moral and existential questions concerning life, death, love, hate, truth, and the passage of time. Shot by nine different cinematographers, with stirring music by Zbigniew Preisner (The Double Life of Véronique) and compelling performances from established and unknown actors alike, Dekalog arrestingly explores the unknowable forces that shape our lives. Also presented are the longer theatrical versions of Dekalog s fifth and sixth films: A Short Film About Killing and A Short Film About Love.